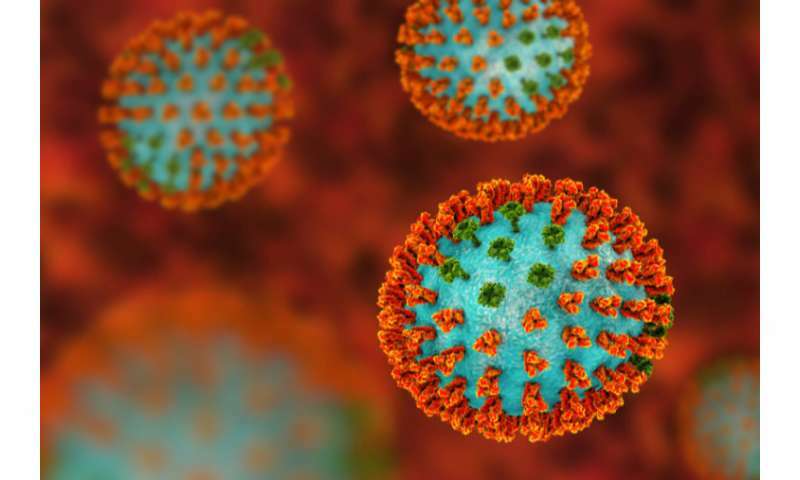 Scientists have known for decades that a flu virus in a human body can be a lot different than viruses grown in a lab. As opposed to the uniform, spherical, textbook-style viruses in a petri dish, in humans they vary in shape and composition—particularly the abundance of certain proteins—even if they are genetically very similar. After inserting these short sequences, he introduced enzymes and small amounts of fluorescent dyes. These enzymes take different dye molecules and connect them to the engineered viral proteins, giving researchers the ability to see individual proteins without disrupting how they—or the virus they make up—functions. The results suggest that these two variations—being smaller than average, or having more NA—could be beneficial for a virus that found itself in a person who had been treated with Tamiflu. It's one example of how having lots of diversity among individual viruses might be advantageous. The School of Engineering & Applied Science at Washington University in St. Louis focuses intellectual efforts through a new convergence paradigm and builds on strengths, particularly as applied to medicine and health, energy and environment, entrepreneurship and security. With 94 tenured/tenure-track and 28 additional full-time faculty, 1,300 undergraduate students, 1,200 graduate students and 20,000 alumni, we are working to leverage our partnerships with academic and industry partners—across disciplines and across the world—to contribute to solving the greatest global challenges of the 21st century.